PRINTABLE MATERIAL AND ACTIVITIES: The Ballet. Ballet dance is a very formal and strict type of performance dance. Ballet dance originated in 16th and 17th century French courts, and was further developed in England, Italy, and Russia as a concert dance form. Early ballet dance performances were presented in large chambers with most of the audience seated on tiers on three sides of the dance floor. Early ballet dancers were not as highly skilled as they are now, as ballet dance has become a highly technical form of dance with its very own French vocabulary. Ballet dance is typically performed to classical music. It is taught in ballet dance schools and studios around the world, with students ranging in age from toddlers to adults. In order to become proficient at ballet dance, one must be extremely dedicated to the art and diligent in regard to practice and rehearsal time. Ballet was first performed in Italy in the early 1600’s. In 1661, the first ballet school was opened in France. It was started by Louis XIV, and only men were allowed to dance. Women first danced the ballet in 1681. They did not look like the dancers of today, because they wore ankle-length dresses! Throughout the beginning years, until 1789, the performers not only danced, but also recited poems and sang songs. The dance steps taught so long ago in France are still used today. Most steps still have their original French names. The basic five ballet positions were created in the 1600’s by a French ballet teacher whose name was Beauchamps. These arm and leg positions helped the dancers to balance while still looking graceful. Most ballet steps and combinations begin with one of the basic positions. 3. THE BALLET IN SPAIN. In 1978 the Spanish Ministry of Culture asked Antonio Gades to form a national dance company (Ballet Nacional Español), Spain’s first. In 1979 Victor Ullate was invited to form the classically based Ballet Nacional Clásico. In 1983 María de Avila assumed responsibility for both companies; in 1986 she stepped down. From 1987 to 1990 the classical ballet company was run by Maya Plisetskaya; in 1990 it was renamed Compañía Nacional de Danza and Nacho Duato was appointed director. He has moved the repertoire away from its classical ballet roots and into contemporary dance. Ballet Nacional Español, meanwhile, continues to focus on the traditional Spanish dance heritage. Example of classic ballet: Tamara Rojo, Don Quijote. Learn more about ballet clickin on: BALLET ACTIVITIES. 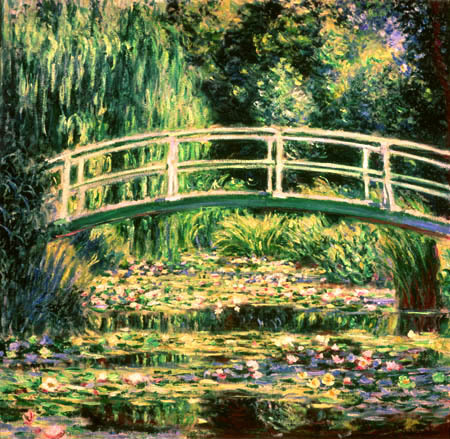 The aim of Impressionist art was to suggest rather than to clearly draw objects. Impressionist music does the same thing, focusing on…CLICK HERE TO LEARN MORE.